There is an astounding shortage of STEM (Science, Technology, Engineering, and Math) degree holders in the United States today. Research indicates that the American workforce needs additional training for the 21St Century workplace. Because the country has yet to meet these needs thousands of jobs continue to be outsourced or remain unfilled. As the demand for STEM careers increase, so do the opportunities for prosperity and job security for those who opt for a STEM profession. Recently, non-biased programs that focus on exposure and career exploration have evidenced an acute increase in STEM careers. A study by Paulsen and Bransfield, 2009, provided STEM exposure and career exploration to students; 88 percent reported a marked interest in STEM careers after completing a STEM program. The SKILLS Organization is currently providing summer STEM Academies for students of Edwards and Dexter Middle School. Our motivation for this programming is to increase student awareness and interest in STEM careers. The Science Academies utilize a fun, accessible, problem-solving teaching approach that is designed to make science more engaging and enticing to the students. Inspire and excite students about STEM subjects they are studying in school. Connect students' educational experiences to their real-world experiences. Support kids in living and learning successfully. The SKILLS Organization is excited to launch Lego Robotics classes to 6th, 7th & 8th grade students that live or go to school in Whittier. 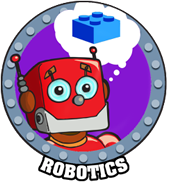 Lego Robotics allows every Student the opportunity to Discover, Design and Create without any formal engineering or computer programming training. The students will engage in learning the fundamentals of how to program, learn the language of coding and execute building a robot. The students will work in teams of two; one student will do the programming, while the other team member will be responsible for constructing the robot. ALL students will be forced to collaborate, build their leadership and teamwork skills, and get to partake in this amazing Lego educational journey together. If your child attends Orchard Dale you are in luck for we have a fantastic after-school program! Studies show that after-school programs help children both academically and socially. Thus, in collaboration with Orchard Dale Elementary and Whittier staff, Club Orchard Dale was created. It operates every day school is in session, even on minimum days. The after school program is a structured, stimulating and well-supervised program that is staffed by recreational specialists. The program has grown tremendously since its inception. Aside from its convenience for working families and parents, Club Orchard Dale is popular amongst students because those who are enrolled get to participate in a variety of enrichment activities, sports and arts and crafts. Many thanks to the East Whittier City School District, the City of Whittier Parks, Recreation, and Community Services Department for their support. To find out how to enroll your child, please call: (562) 325-5620. Click here for your payment. In recent years there has been a cause for growing concern over the amount of hours spent on conflict resolution and violence prevention amongst students. In the past such schoolyard conflicts were credited to the high testosterone levels and competitive nature of males, but ask any school-based social worker these days what is troubling them and they will reveal that it is not boys who eat up the bulk of their working hours. On the contrary, girls are now taking up the majority of these social workers’ time and instances of bullying and relational estrangement between female students is on the rise. This trend is so pervasive and alarming, in fact, that it has been given national attention and even a name: The “Mean Girl Syndrome”. Mean Girl Syndrome diverges with respect to the classic bullying tactics because it includes warfare that is not as obvious and often goes undetected. Gossip, reputation-bashing, social exclusion, and boyfriend-coveting are all part and parcel of the mean girls’ game. The program’s main goals are to: 1) decrease the number of conflicts at the site where the program is being implemented, 2) teach participants conflict resolution and anti-bullying skills based on empathy and healthy social behaviors, and 3) increase the self-esteem of participants. The program is also tailored to address whatever specific concerns youth sites are tackling. Studies show that after--‐school programs help children both academically and socially. If your child attends Scott Avenue Elementary you are in luck! 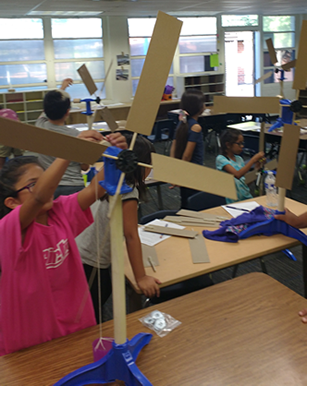 The SKILLS Organization has come together with Scott Avenue Elementary and the City of Whittier Parks, Recreation, and Community Services Department and brings to you Club Scottie, an after--‐school program! Thus, in collaboration with Scott Avenue and Whittier staff, Club Scottie was created. The club will operate every day school is in session, even operates on minimum days. 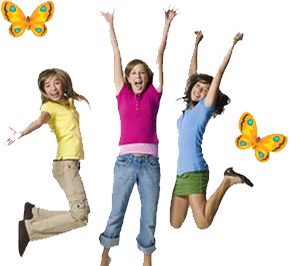 This after school program is a structured, stimulating and well--‐supervised program that is staffed by recreational specialists. Aside from its convenience for working families and parents, Club Scottie was created for our students so they can socialize with their peers, have a safe place to go after school, structured time to work on homework, as well as participate in a variety of enrichment activities, sports and arts and crafts. SKILLS would like to thank East Whittier City School District, Scott Avenue staff, and the City of Whittier Parks, Recreation, and Community Services Department for their support. For Additional information call or email Lorena at the SKILLS Organization. The SKILLS Organization is excited to announce the NEWEST addition to our STEM Programming, Alternative Energy Classes. This class is designed for students that are in 3rd-8th grade. 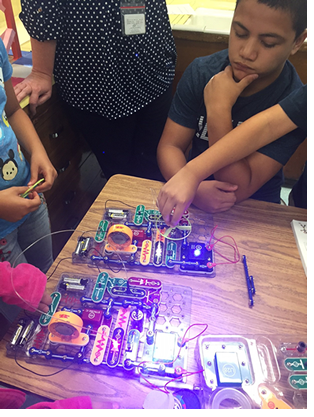 This class will allow students to experiment, explore and engage with a hands on approach. If you are interested and would like more information, contact the SKILLS Organization, or call us at 562-325-5620. Click for brochure.